Amore e Simpatia. New music for viola d’amore with Marco Fusi. 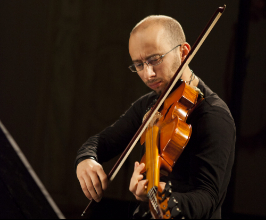 The program pays homage to two important Italian composers of the 20th and 21st centuries—Giacinto Scelsi and Salvatore Sciarrino—including a new Capriccio for violin by Sciarrino.